Ah, durn, Christmas really got away from me this year. For one thing, Captain Beefheart's death threw me for a loop. I could spend a LOT of time talking about his genius, I could break his albums down one by one, etc., but I don't have to, do I? His legacy has been pretty well examined. Because, believe me, I could yammer on like an Asperger's kid talking about "Star Wars." It would have to wait until the new year, in any case. Esso Trinidad Steelband "Calypso Christmas"
Our busy elf helper windbag sent a us batch of singles, including a Christmas disco one, which inspired me to root thru my own disco/old school archives to pull out my fave 12" and vinyl yuletide artifacts. 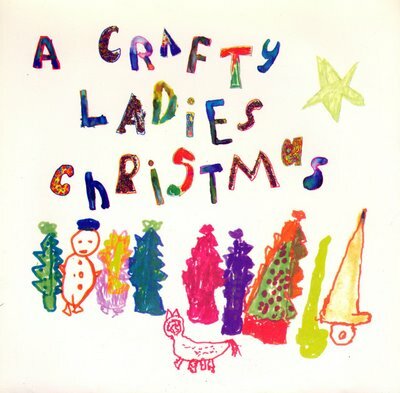 Totally kitschy, funky and, tho sometimes awful, always awfully fun. I'll be posting Christmas music for the next week or so, and it doesn't get much better than this 11 minute, 7 song 7" recorded by the participants in the arts program of the San Francisco Recreation Center for the Handicapped. The musical backing seems pretty professionally played, in contrast to the vocals of the handicapped folks. Brown Christmas' was now starring old people. xylophone, percussion, and...organ? guitar? I'm not sure. Yes, this recent video of Russian Prime Minister Vladimir Putin plunking out the piano line and singing "Blueberry Hill" at a star-studded charity dinner has been getting mainstream press coverage, but if you all ignore as much of the mainstream media as I do, you might not have caught it. It would have gone great on my "Politics of Dancing" collection of politicians' atrocious musical moments. I was amazed to see that James Brown's main man Maceo Parker was leading the band. Did they do any JB remakes? "Living in America" could have been "Living in St. Petersburg;" "Please, Please, Please" could be "Borscht, Borscht, Borscht." "I Got Vodka (I Feel Good)." "Papa's Got A Brand New Invasion of Chechnya." Oh yeah. I got a million of 'em, folks. Another weird thing about this: backup singers I understand, but during the spoken-word part, he has backup talkers. I have zero info on the demon(s) responsible for this free download release, but I can tell you that this album (or side one, at least) is a highly entertaining witch's brew of sleazy rock in the Cramps/Roky Erickson/Velvets (jugular) vein and lyrics that are, well, just look at those song titles. Tho they're sung in an unlikely high, nerdy voice, I still wouldn't mess with this dude. When he starts screeching about "rats with wings," it sounds like he means it. Side two reverts to a more normal rock and acoustic approach, but bits of psychedelia and even violin keep things interesting. 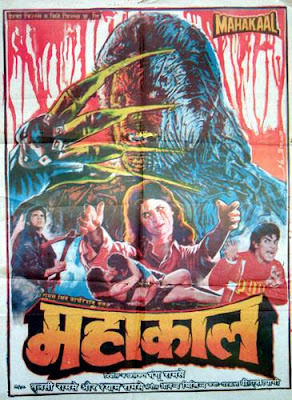 And don't miss the title song - it's the albums catchiest tune, and sounds like it's sung by children, which makes it all the more wrong. Just how we like it. Alexandra Pajak is a medical student with classical music training from Athens, GA who has recently released an album entitled "Sounds of HIV: Music Transcribed From DNA." It is, needless to say, one of the most unusual albums I've received lately. "Sounds of HIV" is a musical translation of the genetic code of the Human Immunodeficiency Virus. 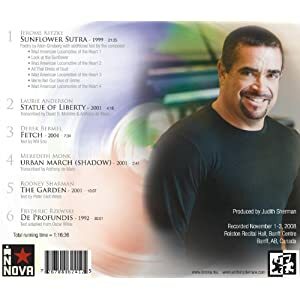 Every segment of the virus is assigned musical pitches, thus taking the listener on an aural tour of the entire HIV genome...A portion of proceeds from the sale of this CD will be donated to the Emory Vaccine Center, which conducts HIV research." The booklet that comes with the cd breaks it all down into more detail, for you rock 'n' roll geneticists out there. "Protein 2" is busy, hop-scotching around the keyboard, while "5 & 6" has a gently hypnotizing Minimalist feel to it. Anthony De Mare's background in musicals and dance almost sent him down the typical New York theater route, until he detoured into experimental music. Now, while there have been no shortage of gay men in the avant scene (Partch, Cage, etc.) they usually leave all lifestyle references aside when they compose. De Mare's new Innova release "Speak!," however, fuses the two worlds of cabaret and alt-classical. It's as successful as it is unlikely. His solo piano, chatty "speak/sing" method has roots in cabaret, but the complex compositions go way beyond the usual Noel Coward revivals. And that's most evident on the album's centerpiece: "De Profundis," based on letters Oscar Wilde sent from prison. De Mare is completely spellbinding as he whispers, howls, sings, and dishes out more weird vocal noises this side of Yma Sumac, his piano following him every step of the way along Wilde's profoundly moving odyssey. Even at 30 minutes it's not too long. De Mare has an open, friendly musical manner (look at that smile on his face!) all too often missing from the "serious" music world. Cheerful, humorous music usually isn't considered as legit, for some arbitrary, illogical reason, but I don't think De Mare cares. Heck, this album even has a song about his dog. 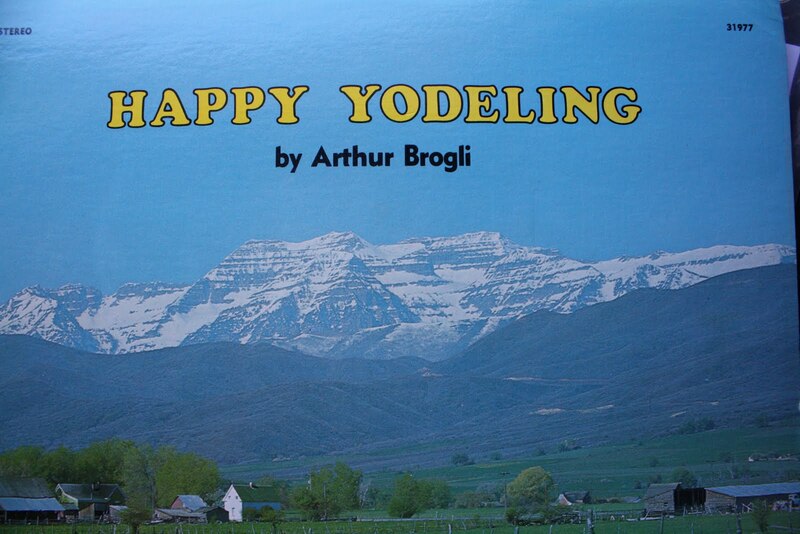 Like the "obsolete" instruments I've written about, yodeling is another "uncool" old folk style that, nonetheless, requires a fair amount of technical skill, has a long, rich history, and can be quite ridiculously entertaining. So, once again, let's get uncool. 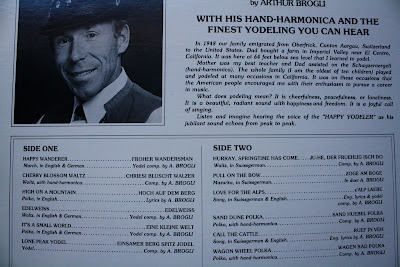 Arthur Brogli was (is?) a Californian of Alpine origin whose '70s D.I.Y. 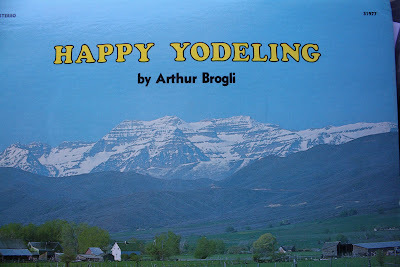 release "Happy Yodeling" (sorry Goths, no gloomy yodeling here) features, apart from vocals, pretty much only accordion. Which, strangely enough, makes it resemble the "Philip Glass For Accordion" album we recently featured here. A playlist that goes back and forth between these two albums might make for an interesting experience. Arthur doesn't shoot his wad all at once - you have to wait 3 minutes into the album before you get any yodeling. But that's okay, "Happy Wanderer" is one of my favorite polkas. Then he plays an instrumental. But after that he does get down to some serious yodel action, including a swell version of that much-hated Disney tune, "It's A Small World," thus proving that yodeling makes everything fun. This has been another fine windbag contribution.